Full vegetarian restaurants in Thailand? By the way, i bought this from 7/11 the other day.... tasted pretty decent but actually had the texture of meat. Anyone know exactly what is inside this frozen fried rice dish? "Stir-fried basil vegetarian protein with rice" (wtf is protein) ? Sukhumvit soi 22, in between Asok and Phrom Phong BTS. 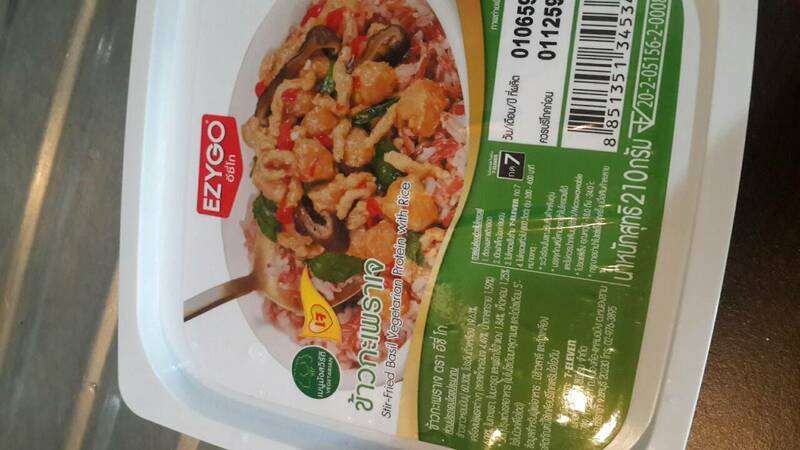 Beyond Meat or similar in Thailand?